Pržno is linked with Budva by a mini-bus line. During the season the mini buses run every 15 minutes, and during the semi-season every 30 minutes. Distance:Budva 7 km; Airport 15 km; Milocer 500m; Sveti Stefan 1 Km; ; Cetinje 25 Km. on which occasion he confirmed the ownership of the villages to the monasteries which his mother, Queen Jelena, gave as a gift to the monastery. 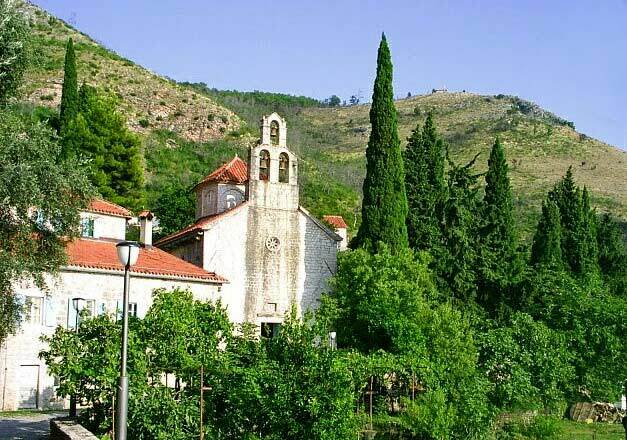 North of Praskvica, at 450 meters above the sea is located the monastery Duljevo. 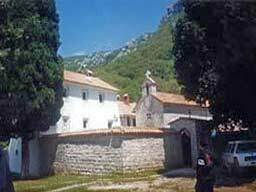 The path from the monastery Praskvica to Duljevo, as well as the path from Sveti Stefan to Praskvice was built by his own hands the Russian Count Jegor Stroganov as penance. He never allowed anyone to help him with this chore. Seeking the Count, Stoganov’s daughter came to Praskvica where, having found her father, she lived in the monastery dressed in man’s clothes as a monk. Only before dying she revealed that she is a woman and Stroganov’s daughter. The path leading through Pržno, at the very exit from the town enters the famous Miločer park which nestles the former summer residence of King Aleksandar Karađorđević. Miločer represents one of the most beautiful parks and arboretums on the Adriatic. It is wooded with coastal coniferous trees among which are most prominent the cedar trees and cypress, as well as other Mediterranean and subtropic vegetation. It also holds two famous beaches the Small – Queen’s and the Large – King’s beach. 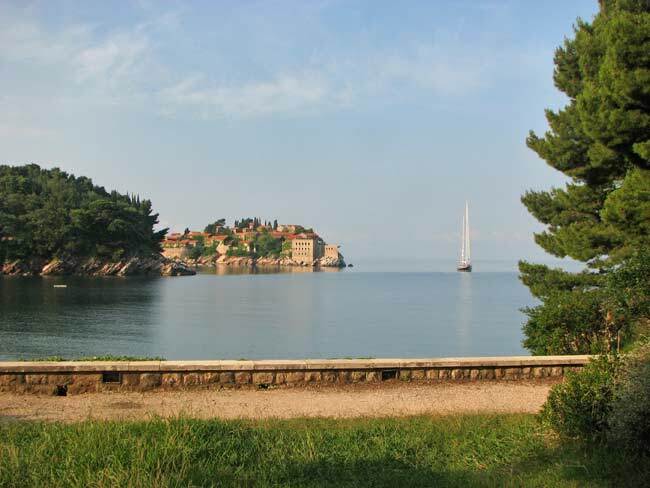 The walk along the seaside, which lasts about 15 minutes, leads to Sveti Stefan. 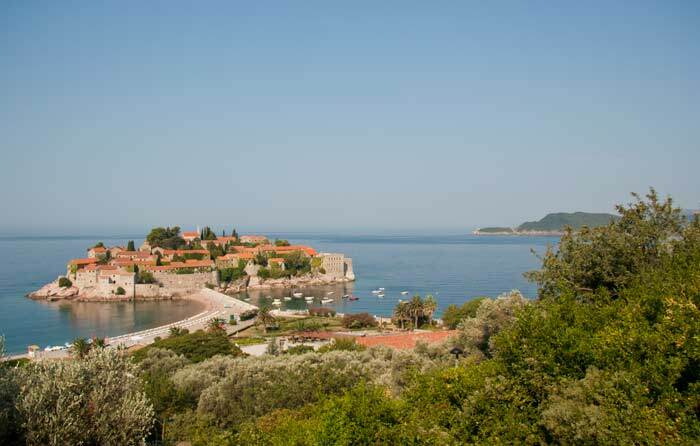 The Sveti Stefan was founded and built by the members of the Paštrović tribe in the early 15th century. According to lore the town was built from the spoils the Paštrovićes gained in the war with the Turks, helping in the defense of Kotor. The Paštrovic heroes defended themselves from it during the Turkish sieges. Today, it is a beautiful hotel-town with some 80 thoroughly renovated little houses with more than one hundred luxury apartments, restaurants, pastry shops, galleries and casinos.